Since becoming passionate about health and nutrition in the past couple of years, there are two things that I am certain have helped me maintain my weight, feel more energized, and be healthier overall more than anything else: probiotics and digestive enzymes! (You have seen me talk a little bit about this in my article: 5 Tips For Looking Beautiful From The Inside Out!) The more I learn about the health of the human body, the more I realize that so much of our total health picture is based on what is happening in our colon (an important place – where all nutrients are absorbed… or not, depending on what you’re eating, the order you’re eating your food, and the condition of your colon!) 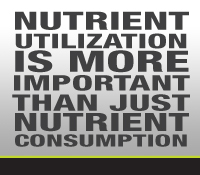 You can be consuming tons of good nutrients, but not absorbing them. This entry was posted in Health and Beauty and tagged antioxidant blend, Brenna Mader, Core Health Products, digestion, energy, fruit blend, Miss Tennessee USA, Miss USA, probiotics, Shan Stratton on July 25, 2013 by Brenna.